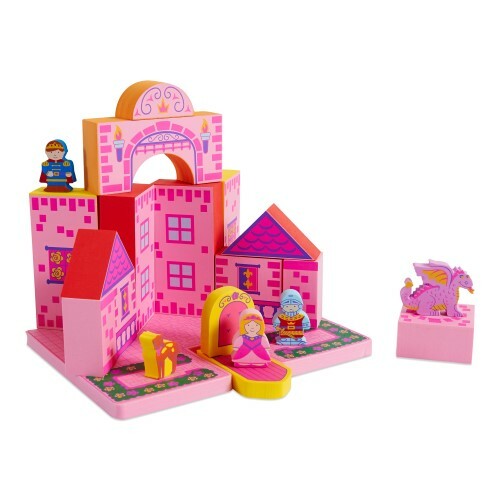 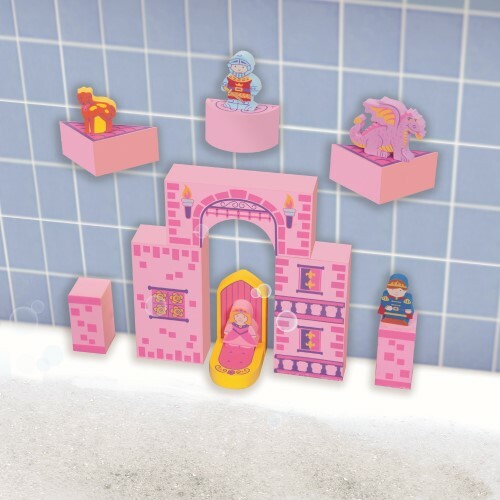 Watch your bath tub turn into a kingdom with this Bath Blocks Pink Floating Castle Set complete with a prince, a princess, a knight, a dragon, a dog and a barge for adventures. 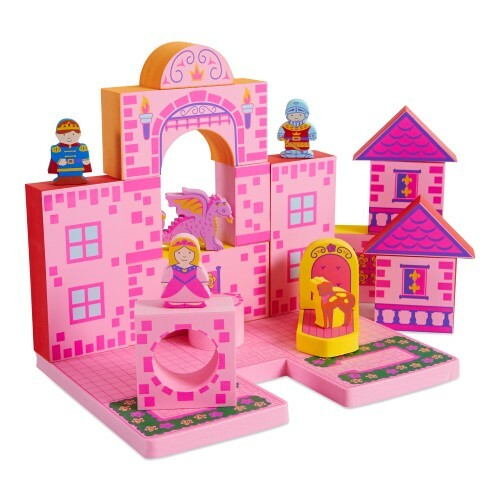 Every piece can float on the water and when wet, the blocks get sticky and building is easy. 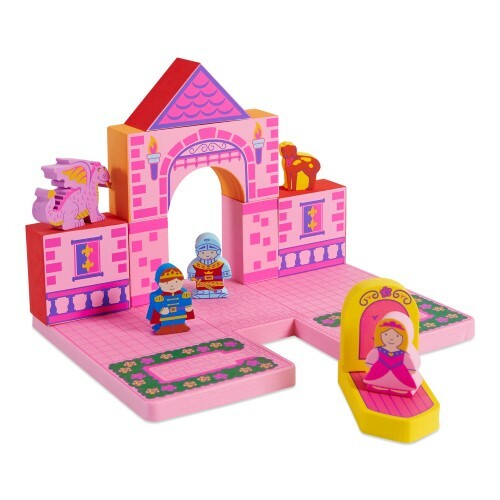 A handy play base is included to build upon or you can stick the wet blocks to the tiled wall. 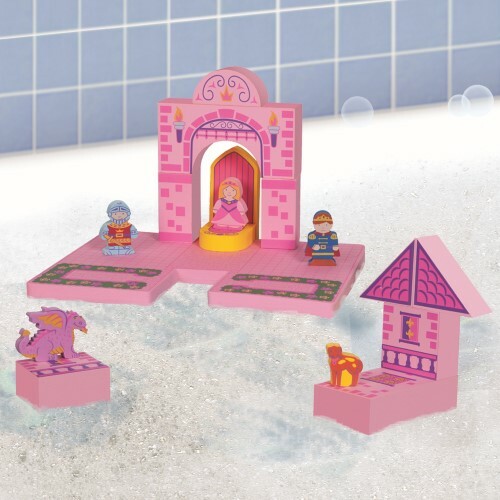 BathBlocks are made from phtalate free foam which is mildew and bacteria resistant. 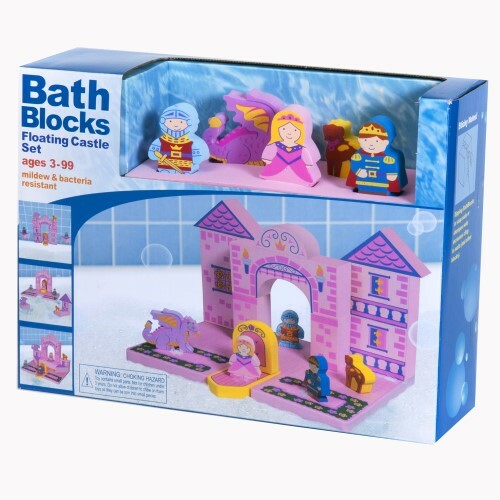 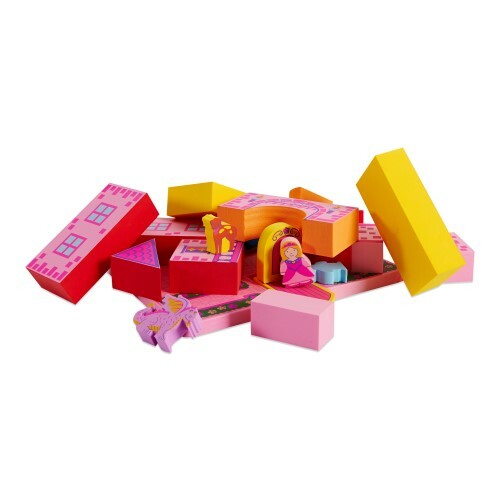 INCLUDES: 10 BathBlocks, 5 figurines, 1 barge and 1 floating play base.